In Duterte, Cayetano, Pimentel: Inside Info on the Senate Presidency (Part 1 of 2), ThinkingPinoy explained that over the past month, President-elect Duterte has masterfully consolidated and tested the limits of his political power, with Senate as the only thing standing in his way. 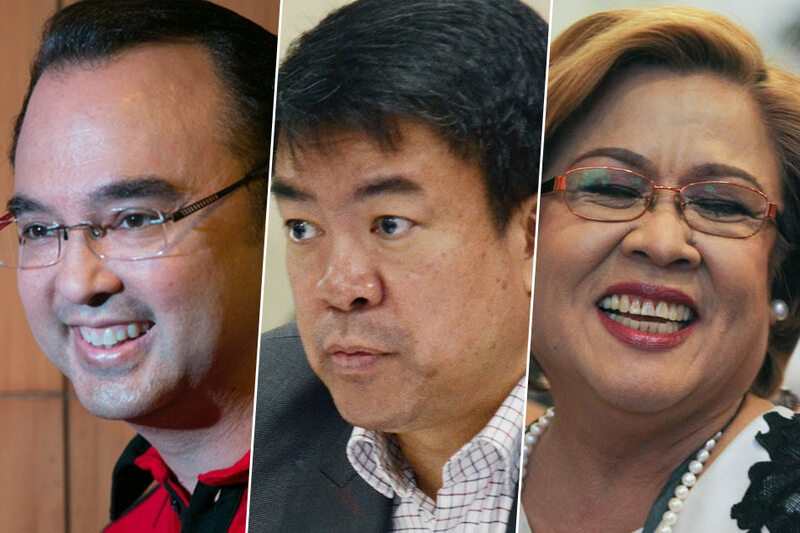 The key to the Senate is in the Senate Presidency, currently contested by Senator and PDP-Laban President Koko Pimentel; and Senator and Duterte running mate Alan Peter Cayetano. Now, it’s time to continue where we left off. Pimentel plans to give the chairmanship of two key committees to known Duterte critics Lacson and de Lima. He said the two are a perfect fit for the committees since Lacson was a PNP chief while De Lima was a DOJ secretary [Inq]. So what can these two do with their chairmanships? First, the Justice and Human Rights Committee Chair automatically becomes a member of the Judicial and Bar Council, which screens nominees for the Supreme Court. The committee chair also exercises power over bills related to Justice and Human Rights, such as the prospective reinstatement of the death penalty. BOTTOMLINE: If Koko gets what he wants, de Lima gets to exercise considerable clout over Duterte’s 10 Supreme Court appointments. For example, de Lima can influence the list of nominees to include only those are more sympathetic to the Liberal Party, where she belongs. The reader can also expect major hurdles in the passage of a new death penalty law. Second, the Public Order and Dangerous Drugs Committee Chair has the power to conduct Senate investigations on matters relating to law enforcement. BOTTOMLINE: If Koko gets what he wants, Lacson has the power to initiate Senate investigations on incoming PNP Chief Ronald “Bato” dela Rosa, which can adversely affect Duterte’s crime-fighting timeframes. Duterte can, of course, invoke executive privilege [EO 464], but not without controversy. Both Cayetano and Pimentel are still in the process of convincing other senators to vote for them. “Campaigning”, in this sense, is not like regular national campaigns. Instead, this is about employing any method to secure votes. And when TP said “any”, he means it in every sense of the word. Pimentel appears to be leading, but does Pimentel really have to go that far just to become Senate President? What did Duterte say when he heard these suggestions straight from Koko’s mouth? Will Duterte clandestinely influence the Senate to vote for someone else? Only time will tell. Besides, Duterte has yet to endorse anyone for the Senate Presidency. But then, ThinkingPinoy doesn’t like waiting, so he spoke with two sources privy to the Senate’s inner workings. For security reasons, their identities shall remain concealed. Moreover, in the interest of fairness, one of the sources (Source One) is sympathetic to Cayetano, while the other (Source Two) is sympathetic to Pimentel. TP will relay what he learned from Source One first. “Senate alliances are subject to change until July 25. If that ‘supermajority’ were real, where’s the Senate resolution? All it takes is one phone call from the new Malacañang to redefine any existing alliances,” Source One said. Elections for the Senate Presidency will be on 25 July 2016. “Drilon (LP) is just exploiting Pimentel’s desperate ambitions. The problem is that Drilon doesn’t understand how Davao (Duterte) thinks,” Source One said. “If both De Lima and Lacson continually call for Senate investigations and harass Duterte’s people, that will surely spell trouble. Of course, we don’t want to give Duterte reason to shut down Congress,” Source One said. Duterte’s campaign promises are mostly legislation-based. Duterte already controls the House of Representatives. He has yet to control the Senate. “How can Duterte expect the passage of the death penalty, the SSS pension hike, higher salaries of police, and charter change, with an unwieldy Senate?,” Source One said. “And Legarda stays as chair of the Committee on Finance, how can Duterte be okay with that?,” Source One said. Source One said there’s tension among Duterte’s supporters, as Pimentel’s compromises raised more than a few influential eyebrows. To recall, Sen. Legarda, the Finance Committee chair of the 16th Congress, removed P1 billion from the 2016 Reproductive Health Budget without telling RH proponent Sen. Pia Cayetano. In retaliation, Sen. Pia Cayetano said, “I would have difficulty [trusting Senator Legarda], seriously. Especially since we have access, we talk about many things under the sun, and this to me is something that I could've easily been told about early on, and I was never informed. [Rap]"
Outgoing Senator Pia Cayetano is a member of Duterte’s Transition Committee [PIA] and has considerable influence over Duterte’s political decision-making, at least for the time being. 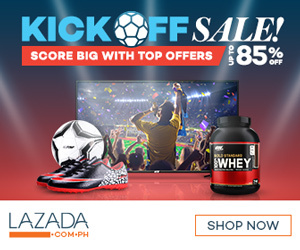 “To be fair, we should also inquire as to who the other contender (Cayetano) plans to put in the senate committees,” Source Two said. To recall, Duterte immediate offered Cayetano a choice between the DoJ and the DFA. While this is a very generous offer, Source Two explained that this implied Duterte’s reluctance to endorse Cayetano for the Senate Presidency. ThinkingPinoy asked Source Two about de Lima’s stance on Duterte’s platform, such as the death penalty’s reinstatement. “De Lima needed the media mileage (attention) during the campaign season, hence the anti-Duterte announcement. But I don’t think she’ll pursue as hotly because I’m sure Duterte has lots of aces that can be used against her,” Source Two said. ThinkingPinoy asked if Source Two was referring to Jaybee Sebastian and the Bilibid Resort and Spa issue. “No, she has even bigger secrets that I cannot legally tell you about,” Source Two said. Asked about Lacson’s prospective chairmanship,“Ping is now in good terms with Duterte. PRRD is a man who has eyes and ears everywhere, he has good reason for not speaking against Koko’s plans.”Source Two explained that Pimentel purposefully and consistently maintained reasonable distance from Duterte from the onset to avoid giving the impression that he’s too eager. “One question that should be asked is why Duterte endorsed Cong. Bebot Alvarez as the next House Speaker but he didn’t do the same for Cayetano. That means something,” Source Two said. Source Two implies Duterte doesn’t want Cayetano as Senate President. “Duterte is observing Cayetano’s moves. What's the catch behind Cayetano’s overeagerness? As it is, his Nacionalista Party is already raiding executive positions. Imagine, NP has the DPWH. That position is a gigantic political magnet,” Source Two said. Source Two said some PDP-Laban members are confused about Cayetano’s enigmatic moves. “A cabinet position already awaits Cayetano, so why is he still gunning for SP? If he’ll leave the Senate in 2017, does he think that the Senate Presidency is just a doormat?,” Source Two said. “LOL. No. I think you amuse him. What Duterte hates is when people inappropriately take the initiative ” Source Two said. Source Two was referring to when Cayetano said Duterte reserved a cabinet seat for VP-elect Leni Robredo. ThinkingPinoy pointed out that in fairness to Cayetano, Duterte Spokesperson Peter Tiu Laviña also said the same. “Those premature statements are the ‘in’ thing right now, so whenever some new piece of information comes up, I take them with a grain of salt. If you just see the (political) maneuvering behind closed doors, you would be scratching you head out of the complexity of the whole thing,” Source Two said. Given available data, it appears that a Pimentel Senate Presidency entails major hurdles against Duterte’s political agenda, in light of the not-so-agreeable choices for Senate committee chairmanships. It’s clear that after a stunning May 11 defeat, LP and UNA are in collateral damage mitigation mode. However, will LP and UNA senators be sufficiently docile to support Duterte’s legislative agenda? Is Duterte confident that his political blackmail war chest would be enough to force rogue senators (e.g. de Lima) to submission? Is Koko’s apparent fixation for inter-party consensus a sign of his 2022 amibitions? On the other hand, a Cayetano Senate Presidency appears to be more in tune to Duterte’s political platform, but it runs the risk of an executive branch being peppered by Nacionalista Party (Villar) loyalists. Who are the Nacionalista Party members in Duterte’s cabinet? How will this affect Duterte’s crusade against crime, drugs, and corruption? And even if we assume NP members won’t do anything fishy, how can Duterte reconcile that to the public’s general distrust in the Villar Dynasty? Is Manny Villar testing the waters for a second jab at the presidency in 2022? Given all these, who should be the next senate president: Koko or Alan? We, as regular Filipinos, have little control over that. So it’s either we trust Digong’s wisdom, or we take the issue to the streets. ThinkingPinoy doesn't want LP and UNA to emasculate Duterte's platform of government, but he also doesn't want questionable personalities to dominate executive positions. At his moment, he feels the best thing to do is to sit quietly in a corner… and observe a bit more.